investors (Investors), pursuant to a Private Placement Memorandum (the Memorandum), 100% of the beneficial interests (Interests) in the Trust. The offering is comprised of three Properties, among three separate and distinct medical practices, in three geographic locations. The North Carolina Property is a cancer center in the Raleigh-Durham region, which includes three of the nation’s top research universities. The Texas Property, located in Houston, one of the fastest growing cities in the nation, is an acute care center that provides short-term treatment options for severe injuries as well as episodes of illness, urgent medical conditions or recovery from surgery. Located in West Jordan, part of the Salt Lake City metropolitan statistical area and one of the fastest-growing cities in the western United States, the Utah Property is a cancer center that has implemented an innovative approach to cancer care by partnering with specialists from a variety of backgrounds. The North Carolina Tenant and the North Carolina Guarantor are Rex Radiation Oncology, LLC and Rex Hospital, Inc., respectively. Rex Hospital was named one of 2016 “Country’s Top Hospitals” by the Leapfrog Group and received straight A’s on Leapfrog’s hospital safety score card. 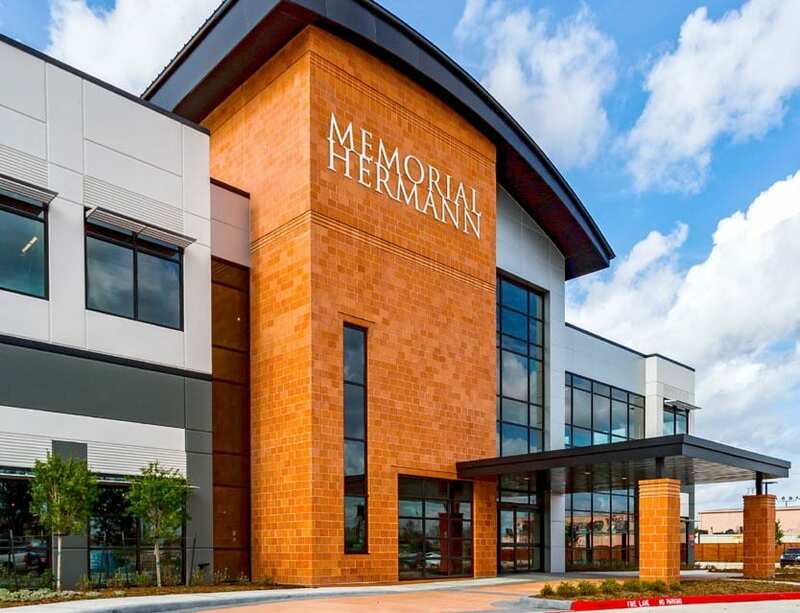 The Texas Tenant is Memorial Hermann Health System, the largest not-for-profit health system in Southeast Texas which was ranked as one of “America’s Best Hospitals” by U.S. News & World Report for 2016-2017. The Utah Tenant, Jordan Valley Medical Center, LP, is an affiliate of IASIS Healthcare LLC, a leading owner and operator of community-focused hospitals in high-growth markets. 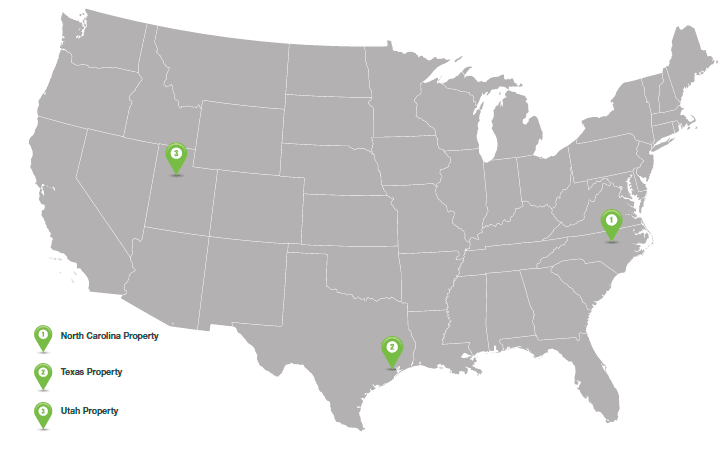 The Texas Property and the Utah Property are new construction and the North Carolina Property was constructed in 2013. Both the Utah Property and North Carolina Property contain linear accelerators and other radiation and cancer treatment build-out and equipment, with the North Carolina Property having received a Certificate of Need issued by the State of North Carolina required for the operation of a linear accelerator. The Texas Property is currently receiving a significant investment by the Texas Tenant, including build-out of treatment rooms for varying levels of acuity and imaging equipment, estimated at $6 million in total. Each Commercial Lease provides for an initial term of 15 years, with three five-year renewal options (or, in the case of the Utah Lease, five five-year renewal options). 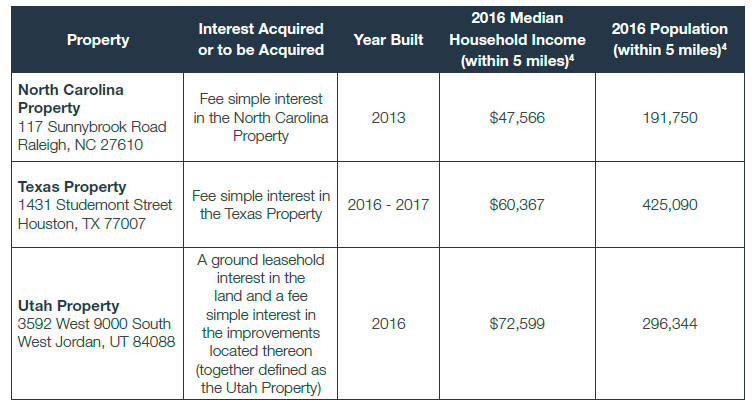 Each of the North Carolina Lease and the Utah Lease provides for annual increases in base rent, and the Texas Lease provides for increases in base rent every five years. See “Summary of the Leases” in the Memorandum. All of the Commercial Leases are “net” leases, with the applicable Commercial Tenant directly responsible for or required to reimburse the landlord for real estate taxes, insurance and other operating expenses. See “Summary of the Leases” in the Memorandum. The Properties are not encumbered by permanent financing, which will allow the Trust the flexibility to hold or sell the Properties without any lender restrictions and sell at a time which maximizes value. The Master Lease structure will allow the Master Tenant to operate the Properties on behalf of the Trust and to enable actions to be taken with respect to the Properties that the Trust would be unable to take due to tax law-related restrictions, including, but not limited to, a restriction against renegotiating the Commercial Leases. See “Summary of the Leases” in the Memorandum. The Offering is designed for accredited investors seeking to participate in a tax-deferred exchange as well as those seeking a quality, multiple-owner real estate Investment. Only accredited investors may purchase Interests in this Offering. The Properties are being offered to Investors without the encumbrance of permanent debt. General information regarding each Property is summarized in the table below. The North Carolina Property is a one-story, medical office building and is home to two radiation machines, which cost several million dollars each and are strictly limited by state regulation. These machines provide an opportunity to expand the presence and services offered to patients in the current market area and dominance in radiation treatment in the entire Wake County. 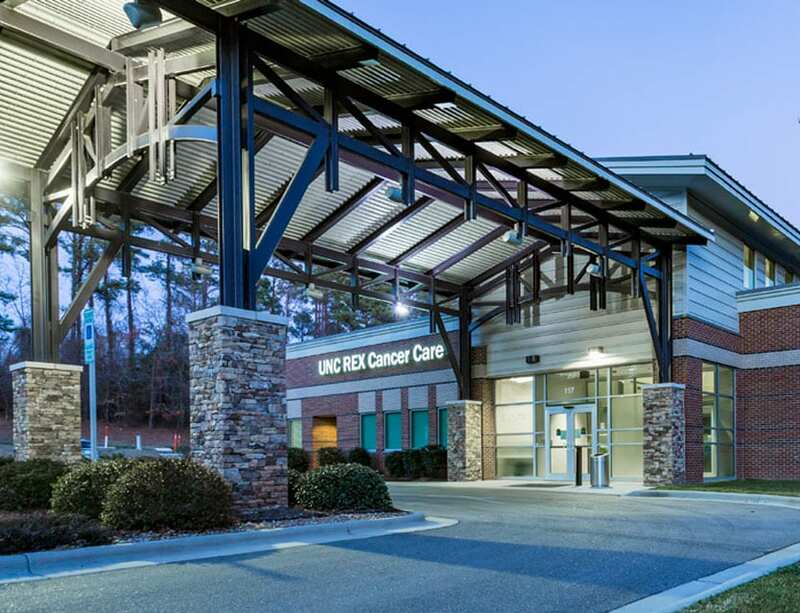 The North Carolina Property is leased to Rex Radiation Oncology, LLC, referred to herein as the North Carolina Tenant. The payment and performance obligations of the North Carolina Tenant under the lease are guaranteed by Rex Hospital, Inc., sometimes referred herein as Rex Hospital. Rex Hospital was honored by the Leapfrog Group in 2015 and 2016 as one of the “Country’s Top Hospitals.” This is one of the most prestigious distinctions a hospital can receive in the United States, recognizing the organization for dedication and commitment to patient safety and quality. Rex Hospital is the only hospital in North Carolina to receive straight A’s since Leapfrog began its hospital safety score card in 2012.5 Rex Hospital operates as a subsidiary of Rex Healthcare, Inc., a North Carolina private, not-for-profit healthcare system (Rex Healthcare). Rex Healthcare provides healthcare to patients from several locations through continued development of acute care and non-hospital programs. With 5,400 staff members, Rex Healthcare is one of the largest employers in Wake County and maintains high standards of education, through partnerships with schools of medical technology and nurse anesthesiology. The sole member of Rex Healthcare is the University of North Carolina Health Care System, a non-profit integrated health care system (UNC Health Care). UNC Health Care is owned by the state of North Carolina and based in Chapel Hill. UNC Health Care currently comprises UNC Hospitals and its provider network, the clinical programs of the UNC School of Medicine, and nine hospitals across North Carolina, including Rex Hospital. The Texas Property features a two-story, stand-alone building with a drive through ambulance area. This newly constructed Property will provide one-stop adult and pediatric primary care, specialty physicians, sports medicine and rehabilitation, outpatient imaging and lab services and a 24-hour emergency room. The acute care facility will provide patients active but short-term treatment for severe injuries or episodes of illness, an urgent medical condition, or recovery from surgery. trauma centers and the primary teaching hospital for McGovern Medical School at the University of Texas. U.S. News & World Report ranked the Texas Tenant as one of “America’s Best Hospitals” for 2016-2017, marking the 27th consecutive year of recognition as a top 10 nationally-ranked hospital. The Texas Tenant has a credit rating of A1, updated as of May 9, 2016 by Moody’s Investors Service, Inc.
main two-story lobby, office, examination rooms, and a linear accelerator. The east side of the building is connected by a first-floor interior corridor to the adjacent Breast Care Center building, which is part of the Jordan Valley Medical Center but is not part of the Utah Property. The second floor of the building consists primarily of examination rooms, offices, and treatment areas. The Utah Property opened to patients in 2016 and has implemented an innovative approach to cancer care by partnering with cancer specialists from a variety of backgrounds, including medical, surgical and radiation oncology. Through this type of treatment plan, patients have access to a wide range of cancer specialists. 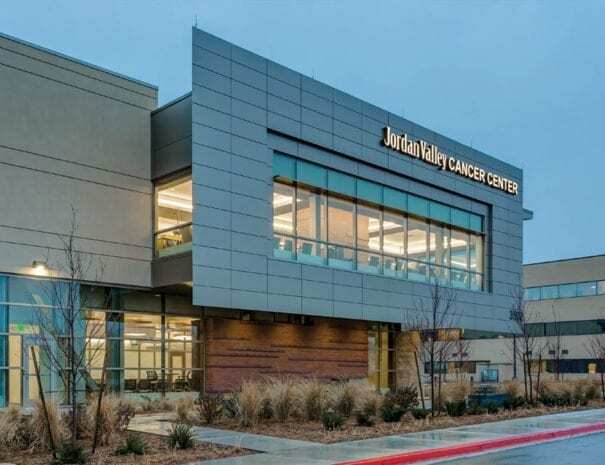 Jordan Valley Medical Center, a first-class community hospital, has provided healthcare for the people of the Southwest Salt Lake Valley for more than 25 years. Over the past few years, the hospital has tripled in size and recently completed a major expansion project, which increased the facility to 171 beds. The tenant of the Utah Property, Jordan Valley Medical Center, LP (the Utah Tenant), is an affiliate of IASIS Healthcare LLC (IASIS Healthcare). IASIS Healthcare is a healthcare services company that delivers healthcare through a differentiated set of assets that include acute care hospitals with related patient access points and a diversified managed care risk platform. As of September 30, 2016, IASIS Healthcare owned or leased 17 acute care hospital facilities and one behavioral health hospital facility, with a total of 3,581 licensed beds, several outpatient service facilities and 147 physician clinics. 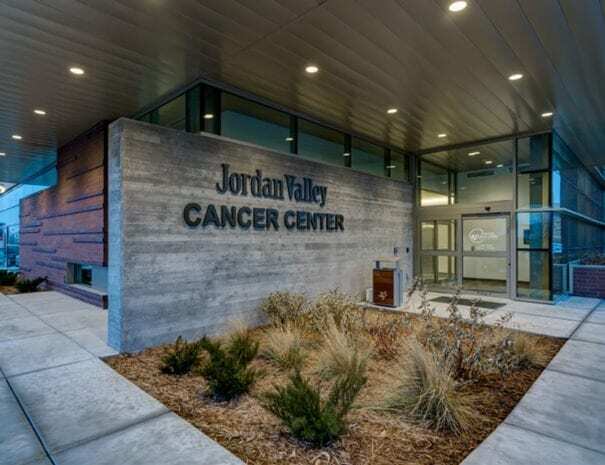 Jordan Valley Cancer Center is the first comprehensive specialty cancer center in the IASIS Healthcare Utah System that offers a one-stop destination for cancer care. ABOUIT Inland Real Estate Group of Companies, Inc.